Managed a max of -12c for a short time after lunch. Now dropping and currently -17c. Morning our big freeze in Central Europe now into its 3rd week of below freezing temps. Currently -10c for many. Even lowland Austria has a good snow cover of some considerable depth. Freezing temps likely for much of this week , so on course for a very cold January. Max today -10c. Bitter cold. 20th day temp has not got above freezing. Now comes the mega-cold. High "Brigitta" brings us extreme permanent frost - down to minus 22 degrees. The winter does not end. After the snow chaos of the weekend, the next cold wave is coming to us. Responsible for this is the large high pressure area "Brigitta", which migrates from the Atlantic to Central Europe and can be established here. That brings us a lot of sun, but also extreme cold - because with a high-altitude current ice-cold air from Russia then reaches the Alps, and the sun is still too weak to heat the ground and subsequently the air. So it stays ice cold throughout the country until the weekend, and the temperatures drop to minus 22 degrees. The coming cold wave with up to minus 22 degrees Celsius and permanent frost all over the country will make us tremble - but when will it be dangerous for our body? The article goes on to describe what to look out for and how to treat victims. Oh, and it warns about the added dangers that alcohol can bring - so take care on the way back from your 'local' Paul!! Hell Brian, a report like that would send the UK into shockwaves ! Seriously this is cold I have never endured for such a long period. Intense cold day after day and you cannot stay out for too long at this altitude. All the rivers and lakes are frozen solid with virtually all the country covered in thick snow that does not melt. A kind of winter that the snow is deep and crisp and the frosts cruel and harsh. I love the snow and cold but this is even a bit too much for me ! Morning all. Coldest night of the winter. 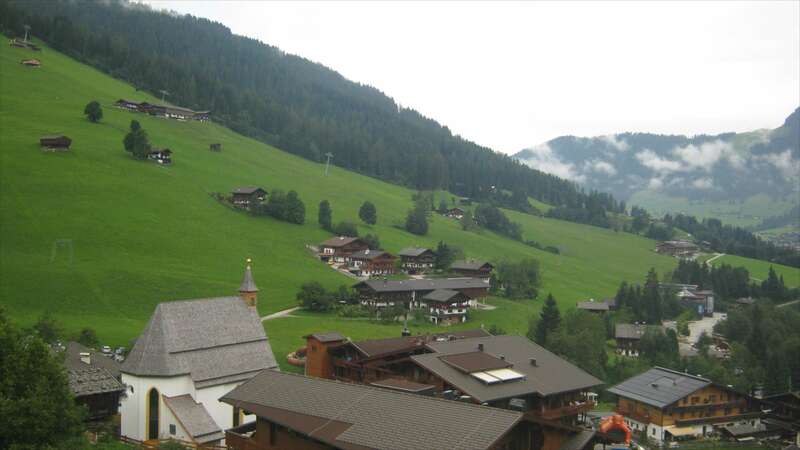 Currently _13c in resort and as low as _19c in the valley villages of Tamsweg and the Lungau. Cold likely to peak today. Looks like the current cold spell will be the coldest since 1987 for Austria. Then this weekend looking like temperature inversion with lower valleys and basins colder than higher elevations. But signs that the end of the month will bring change? When will it be warmer again? Permanent frost without end. 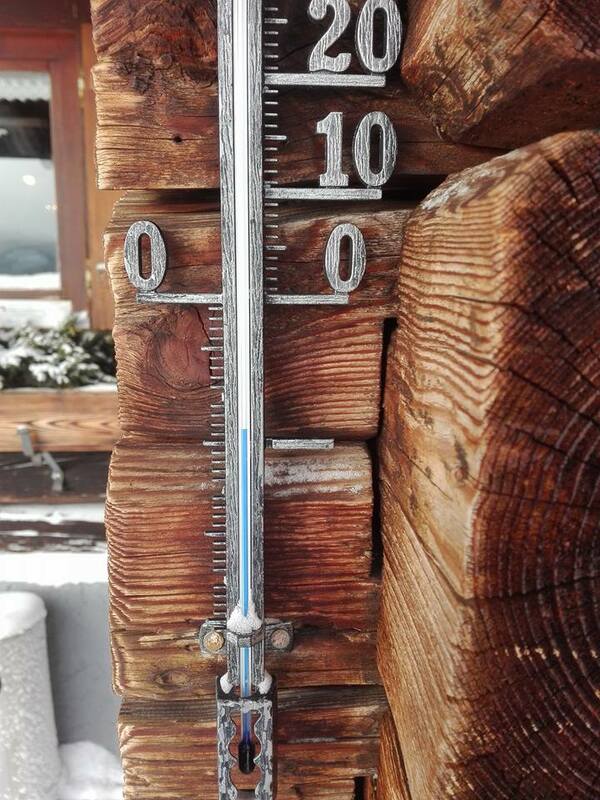 The most recent cold wave will freeze all of Austria at temperatures of up to minus 21C degrees. At the weekend, it will be milder in higher valleys - in the basins as well as in the lowland however, stubborn cold air pools. January on course for a record - With a provisional monthly mean of minus 6.0 degrees, this year in Austria is heading for the coldest for 30 years. It was only more frosty here in 1987 (-6.9 ° C). At the end of the month, the majority of the forecast models indicate a change in the weather. The high pressure on Central Europe is weakening, and the fronts of the low-pressure areas should make it back to the Alps. On the one hand, warmer air is supplied, on the other hand, precipitation can also be expected. I have lost the Alps thread in the general discussion forum. Gone back 3/4 pages and its vanished. Any ideas, no posts for weeks ?? or is it just me. Hi seaside 60, The Alps thread now comes under a new heading....World Wide Mountain and snow sports discussion. bitten the bullet for my broken old body and the family. Booked last week in March and off to sunny Katschberg. So please Mr Corinthian ( thanks for your answers on my questions) I wish to order a nice dump of snow just before that week and beautiful sunny days, perfect pistes and few people on the slopes. Thats not to much to ask for is it. Great news. What day do you arrive and where are you staying ? Arrive Sat eve 25th march leave 1st April. As I mentioned before we not been away for 8 years, youngest (9yr) never been and very excited. We used to be very good skiers ( off piste etc), but time has taken its toll for me, so after chatting to you and seeing the pics, last couple seasons, it sounds and looks like a perfect place for all of us. Blimey outside of the pistes its beginning to look a bit barren, just checked the webcams. Mild today. Have the same warm airmass that you lot had yesterday in the SE of Britain. Not had much in the way of snowfall top up for nearly 6 weeks now. During most of that time temps have been on the low side , so much of the snow has remained. Warm temps will take its toll today and tomorrow but the pistes are fine with a good firm depth and will last the season. Good news , snow returns on Friday with a moderate fall expected and temps back to below freezing. High pressure has been the dominant feature of this winter with a very cold January. Hopefully, plenty of snow for your arrival in 4 weeks or so. Good morning. Its great to be back in the land of sunshine. View from Inner Alpach to main village and Alpbachtal valley. Looks amazing, and has me drooling for my third summer holiday to Austria in a week or so. have been to the Wildschönau the last two years (just over the way from Alpach. This year though we are trying somewhere different and heading further west to stay in Schwarzenberg near the Swizz border. Hope to visit Austria, Switzerland, Lichtenstein, Germany and maybe Italy during the trip! Certainly is a beautiful village. Weather forecast looks hot for your visit to the Alpine countries. Have stayed in Malbun high up in the Lichtenstein mountains quite a few times. Weather a bit cooler this summer but getting hotter after weekend. The pastures around the village are a real treat at this time of year with a abundance of Alpine flora. Enjoy your trip! Cloudy warm day in Alpach. Low cloud on the tops. View across Inner Alpach village towards the Wiedersbergerhorn ski lift. Getting ready for the hottest spell of the summer later this weekend and by Monday temps of 30C plus expected in the Tirol. 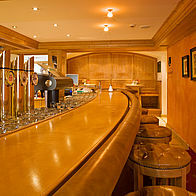 Found a nice little bar in the Wiedersbergerhorn Hotel with beer garden. Suits me just fine. Excessive Heat warning in operation for next Tuesday. Possible 36c for the Tirol. Should be interesting. Good lager drinking weather. Tap choice from my local bar ! Enjoy yourself Paul - looks like you're back in the Alps at just the right time, with the UK summer going downhill faster than Franz Klammer, but set to sizzle in Austria this coming week!! Hi Malcolm, lovely morning in the Tirol. Nice and warm . 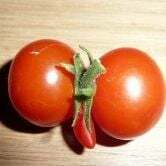 Looking forward to the hot spell. Sorry to see the UK on the wrong side of the Euro heat , must be very frustrating for all during the peak holiday season. Warm evening. Sat outside watching lightning display some way out towards Italian border country. At a guess Bolzano direction. Very impressive display.My wife thinks I am mad looking at the night sky at this time of night ! Love it .